Linda Levesque will team up with several leading experts from various industries to release the new book, “The Road to Success: Today's Leading Entrepreneurs and Professionals Reveal Their Step-By-Step Systems To Help You Achieve The Health, Wealth and Lifestyle You Deserve” by CelebrityPress®. Orlando, FL -- June 28, 2016 – Linda Levesque, a Certified Financial Planner®, has joined Jack Canfield, along with a select group of experts and professionals, to co-write the forthcoming book titled, The Road to Success: Today's Leading Entrepreneurs and Professionals Reveal Their Step-By-Step Systems To Help You Achieve The Health, Wealth and Lifestyle You Deserve. Nick Nanton, Esq., along with business partner, JW Dicks, Esq., the leading agents to Celebrity Experts® worldwide, recently signed a publishing deal with Levesque to contribute her expertise to the book, which will be released under their CelebrityPress® imprint. Linda J. Levesque has been helping families ‘Save Today for a Richer Tomorrow’ for over twenty-five years. Linda understood the value of saving money very quickly when her father took her to the bank to open up her first savings account. That’s when she learned you need to save or money eventually disappears if you keep spending it. Linda is the author of Financial Success from A to Z: Saving Today for a Richer Tomorrow. In the book she credits her father’s financial savvy for her own success in achieving her financial goals. Growing up in a family where her father had to stretch a dollar, on a miner’s income, in order to provide for his large family was a major influence in Linda’s life. Not feeling deprived as a child was the driving force behind wanting to help others do the same with limited resources. Linda is a Certified Financial Planner® professional, public speaker, author and senior investment advisor with HollisWealth under her own banner of Levesque Wealth Planning. She has a team of specialists that she calls upon to help her clients with whatever financial challenges they face. 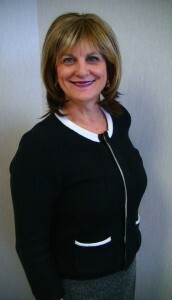 Linda’s clients include doctors, dentists, professionals, retired clients, and their families. Linda is known for her dynamic presentations to audiences large and small; she uses humor, knowledge and stories to get her points across. A featured guest on Sirius Satellite Radio, she has written a chapter in the Trusted Authorities’ book on Single Again: Wealth Planning on One Income. Linda uses the Success Principles in conjunction with her teachings on financial success. As a Certified Financial Planner®, Linda specializes in meeting the needs and protecting the accumulated wealth of the conservative investor, and is an independent thinker who offers independent products. Everything Linda recommends is geared to the individual’s needs and goals. She rarely follows the crowd because she takes the initiative to lead. Linda regularly takes continuing education courses to help stay abreast of new and changing trends. This has helped her to successfully plan and transition clients’ lifestyle changes throughout their lives and throughout the various stages of retirement.